Analysis consistently shows that donors who get involved in helping a charity in other ways are the most valuable to the organisation. Proof that integration is good for the donor and good for you. 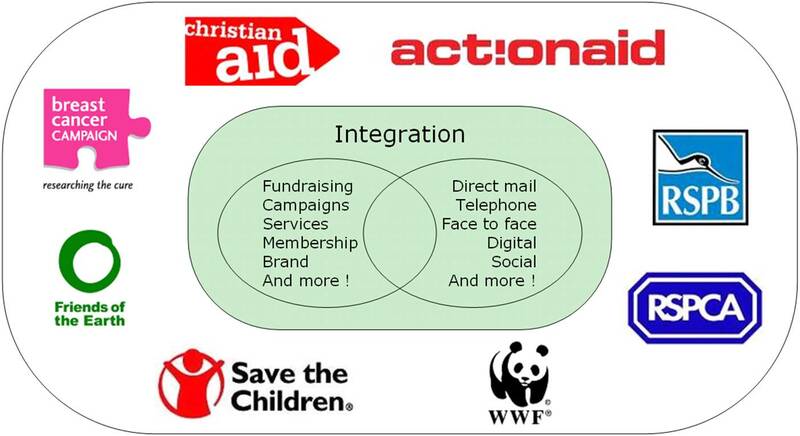 Ever since I was at WWF and led the strategy to integrate campaigning and fundraising communications, I have been passionate about creating organisations that don’t work in silos, but that can happily talk to donors about campaigns they are running and people who campaign about appeals – through traditional and new channels. I have worked with senior leadership teams in many organisations to do just this. I make no apologies for starting with the most important of these. Integration is about how people work together. With the right people and the right culture integration will happen, even without everything else being in place. But with the wrong people or culture, no matter how good your ideas or your systems are, it will fail. Creating a proposition that can make the case for fundraising equally as effectively of that of campaigning whilst also promoting the services or awareness that you need is critical. This is what I mean by a Big Idea – and it’s what brings together all your communications. An approach that values all forms of support is essential. And looking at how one type of value can affect other value is vital in creating the most effective supporter journeys. The concept of building relationships and long term value needs to be understood by everyone. The supporter should be at the core of your integrated strategy, and therefore data is critical. The key is to have the right data, held and managed consistently and the ability to generate the supporter insights needed to drive strategy. Oh yes, and a culture that will value this insight! You will have lots of different supporters coming to you from different places and communicating with you through different channels. Creating supporter journeys for the different supporters (or segments) will be essential to maximise their value to you. This is where having a robust testing strategy is so important.